The global count of smartphones has reached to a whopping 1 billion. And, the count of mobile app downloads is around 179 billion. This shows the huge turnover that mobile app development industry is earning year by year. The app development industry has always been dominated by Google apps (Gmail,maps, Google search), social media apps (Facebook, twitter, Instagram), and then gaming apps (angry birds, temple run and more). Be it the giant e-commerce portal Amazon, or the multinational retail corporation Walmart, Mobile apps are becoming a part of every business worldwide. Every company is using apps for branding their services in the global arena. An effective mobile strategy can help in the growth of your business. 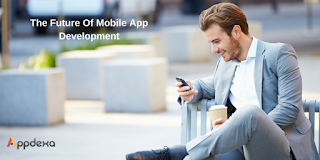 Actually, it is not only about investing in mobile apps but also knowing about the latest trends. Internet of things has helped greatly in connecting an object to another through smart technology. In context of household appliances, IoT has done a tremendous job. You might have encountered such devices that are interconnected within a house or can be operated through remotes. Apple has recently launched “homekit’ that enables home users to have the wireless access of their appliances. These appliances can be controlled through apps and Siri. This is one of the best examples of IoT. Displaying content effectively on mobile is a strategy to offer a superb user experience. Well-known mobile application development companies including Instagram and Pinterest have developed intuitive design interfaces for their apps. And we need not to mention the popularity these apps are having among the users. The augmented reality that these apps are having is the new buzz among the companies that are into the app development space. The count of wearable apps has reached nearly to 101 million and is expected to grow more in the upcoming year. Smart wearables such as Apple watch are the finest examples of advanced technology in wearable device. This has created much room for companies to make profits from this technology that is becoming prominent every single day. Wearable gadgets have stepped a foot forward in the form of smart jewelry, display devices like Google glass and more. More and more consumers are adopting to m-commerce. M-commerce is the next-gen e-commerce thing. The buying and selling of goods through smartphones is the most important benefit that m-commerce has leveraged. This technology is expected to become huge in the times to come. By integrating data collection and predictive analysis, mobile app development industry is going to be more specific with m-commerce. Mobile application ecosystem has changed drastically within a few years with all the latest trends. These trends are shaping the future of mobile app development industry. And offering a number of advantages to the users. As the technology is growing by leaps and bounds, the industry is sure to grow tremendously in the time to come.